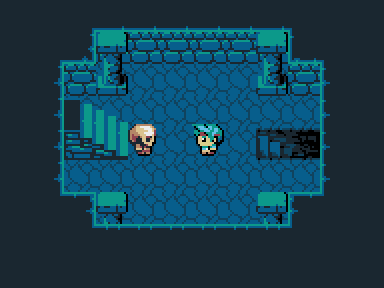 Play as Alex and save your lover Arianne who got kidnapped by the evil emperor! He wants to marry her! Hurry up, grab your sword and get her back! 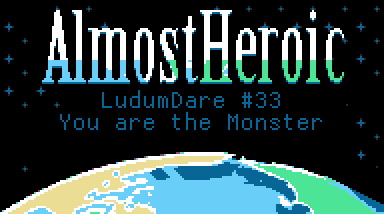 Created for Ludum Dare #33, "Almost Heroic" seems to be a classic NES like J-RPG with a basic plot. Under its appearance, the game denounce naively some videogame usual but harsh behaviour. Ludum Dare is a "Game Jam". 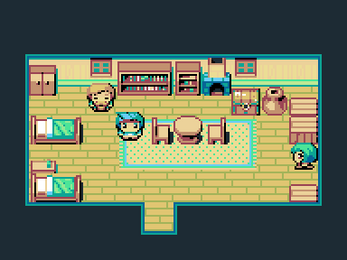 The purpose is to spend a weekend creating a game based on a theme suggested by the community. Ludum Dare events take place every April, August and December. Thus, we created this unpretentious little game, together on skype/slack/github, deep into the very hot conditions of the game jam! The theme of this session is "you are the monster", we were all agreed to do a more subtle game than "control a monster". All the graphics/sound/music is original and have been done during the jam session! Our team is composed of members of the development team RMEx.